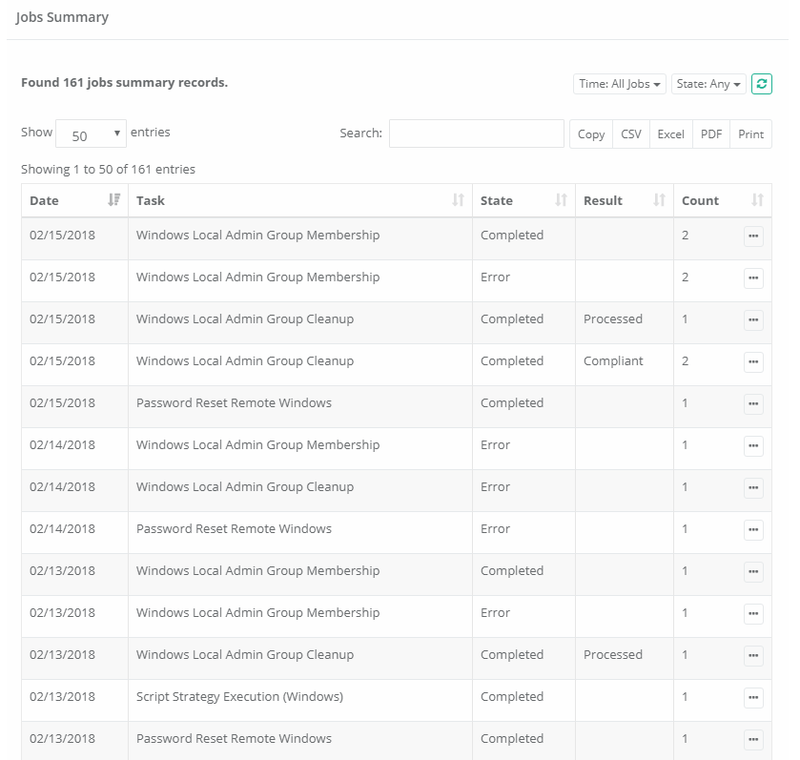 The Job Summary report provides a list of all Jobs or Tasks that have already been executed, aggregated to illustrate a summary of their results including a number of executions per task per day. The summary can be displayed in a data-table or presented in a line chart. Date: Displays the date (MM/DD/YYYY) of when the job or task was executed against any record. State: Displays the state of the task. Result: Displays the result of the executed task. If the script does not include a Result response, then this column will be empty. Count: Displays the total of number of times this task was executed on this date across all records. Details: Displays the details or results of all the executed tasks included in the count. 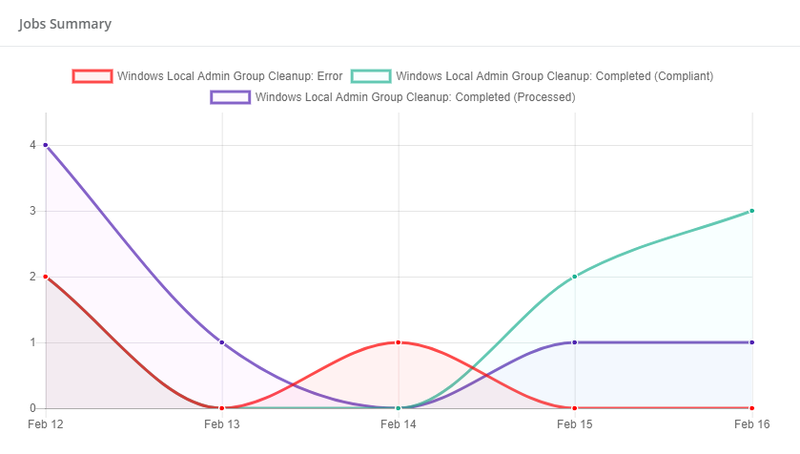 Chart: Generates a chart displaying this task across all its date ranges, states and included results.